A selection of images of water mills in France from our picture archive. 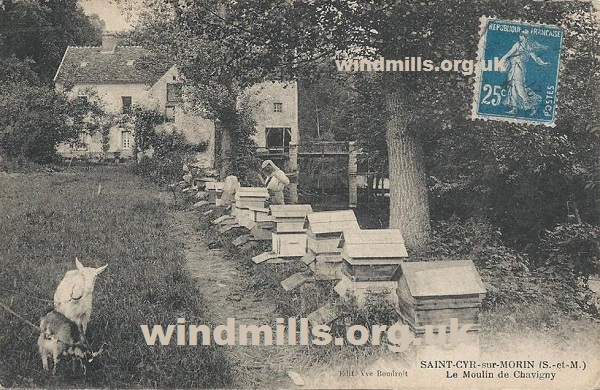 A water mill in France with the miller attending to beehives. Beekeeping was a common sideline for many millers. This image scanned from an old picture postcard in our collection dates from 1905. 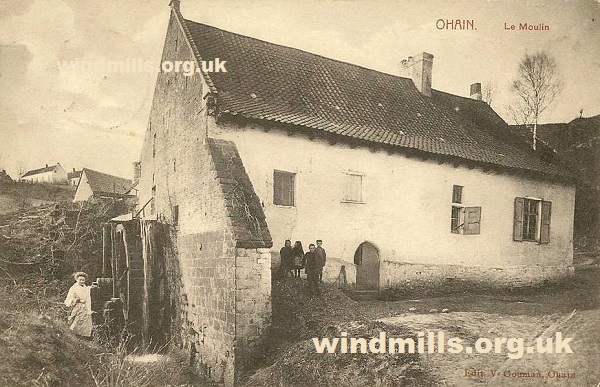 An old postcard of a water mill close to the French / Belgium border. Mailed in 1907. 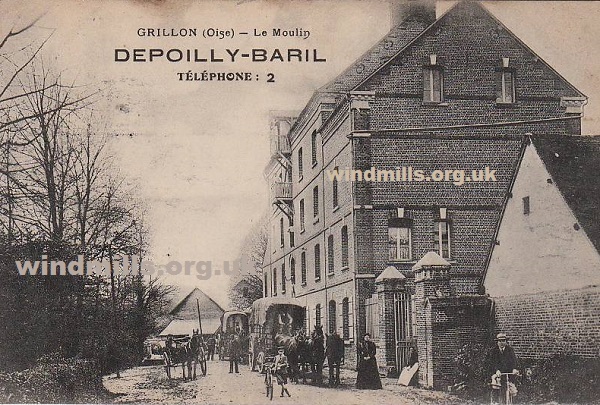 An old photographic postcard of a busy street outside a mill in Oise, France. 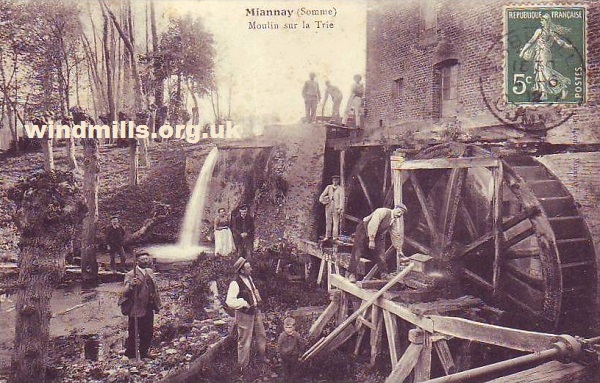 A vintage picture postcard of workers outside a water mill in Miannay, Somme, France, c.1905. 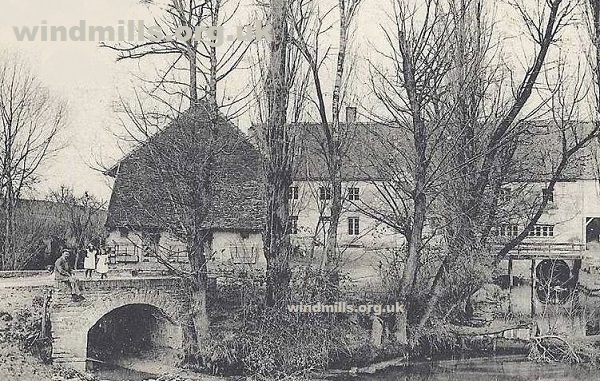 An old postcard featuring a water mill in Côte d’Or, France. Posted to Berlin in 1907. An old postcard of a period scene around the water mill in Cote d’Or , France. 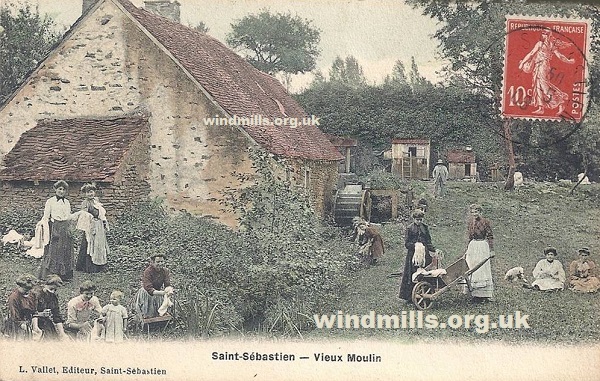 Back to our page of old photographs and postcards of windmills in France.